Wondering what is the best flea medicine for dogs? 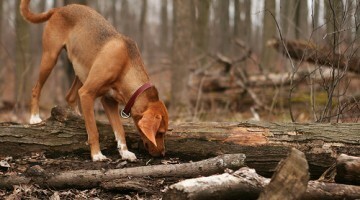 What about the best tick medicine for dogs? Here you'll find the best flea and tick control for dogs, plus info on how to apply them the first time, and even dog tick removal information. I’ve been using Frontline Plus to control fleas AND ticks on my dogs for the past 22 years. I decided to investigate further to learn about the ingredients used in dog flea and tick control products. Here are the safest ones that you should look for when buying flea & tick control for your dog. Here’s an illustration showing exactly how to apply these products directly onto your dog’s back, beneath his thick coat. Plus, lots of great tips when using Frontline, Advantage or K9 Advantix. I have Lyme Disease. My dog does not. Our vet thought this was odd, because dogs spend much more time closer to the ground and inevitably get a lot more tick bites than we do. Plus, 90% of the time we’re outdoors, our dog is usually with us. …I guess the tick preventative that our dogs have always worn — Frontline Plus — really DOES work!